Rarely are we able to find an escape from our daily grind, that is why I make sure that I do staycations in the city once in a while. 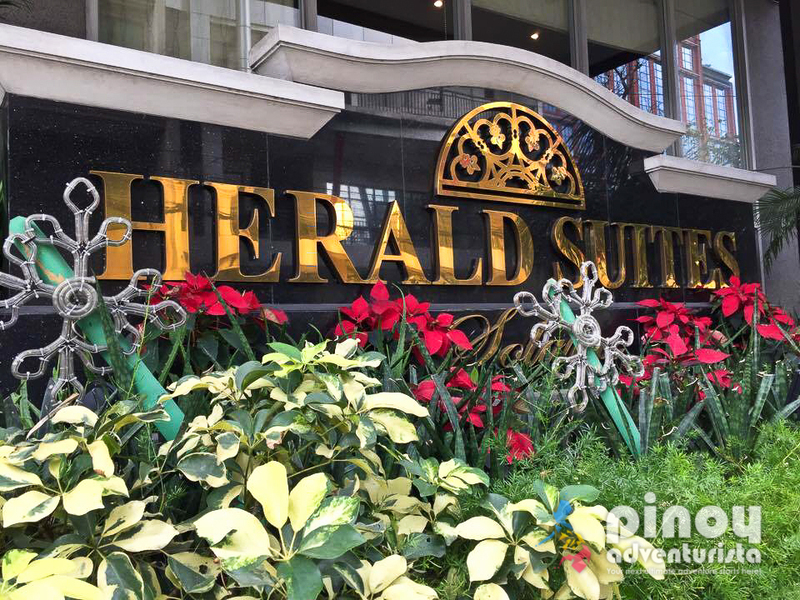 Few weeks ago, we got the chance to stay at The Herald Suites Solana in Makati City. Located in Finlandia corner Einstein Streets, Makati City, Herald Suites Solana offers affordable suite rooms that are ideal place to stay for business and leisure travelers who want convenience of being near the city's business, shopping and entertainent districts. Upon arrival at the hotel, we were warmly welcomed by the hotel staff and hospitably assisted us with our booking. Checking-in was fast and efficient. After filling-in the registration form and giving an incidental deposit of 500 pesos, we were given the access key card to our room. 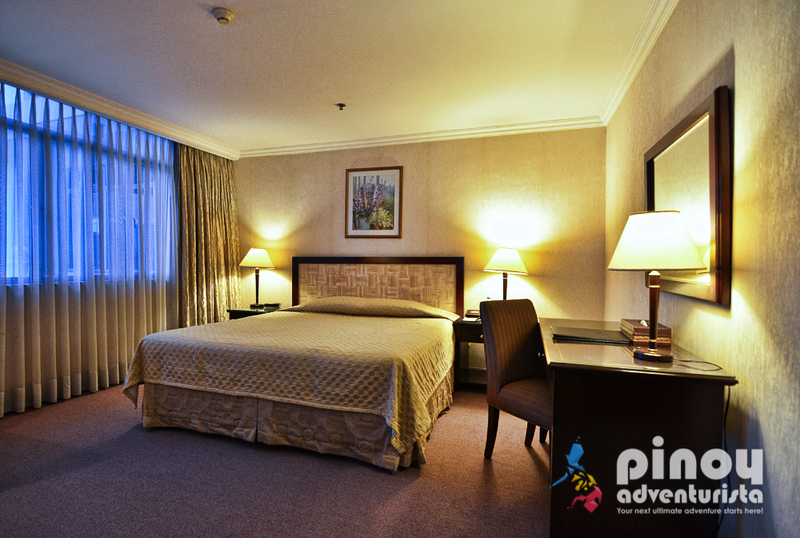 Our room is a spacious Superior Room which features a queen-size bed ideal for 2 persons. It is also equipped with all the much-needed amenities such as an air-conditioning unit, flat screen television set with cable channels, a small sitting area, work desk, cabinets, and a mini bar with complimentary drinking water. The toilet and bath is also spacious. 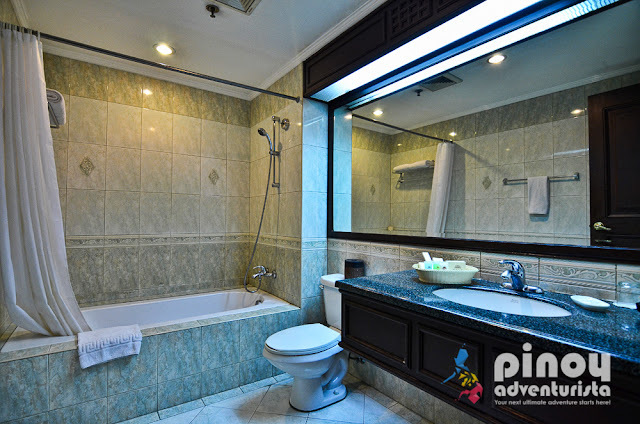 It has a clean water closet with bidet spray, sink, a bath tub and shower area. Toiletries such as shampoo, conditioner and bath soaps were also provided. 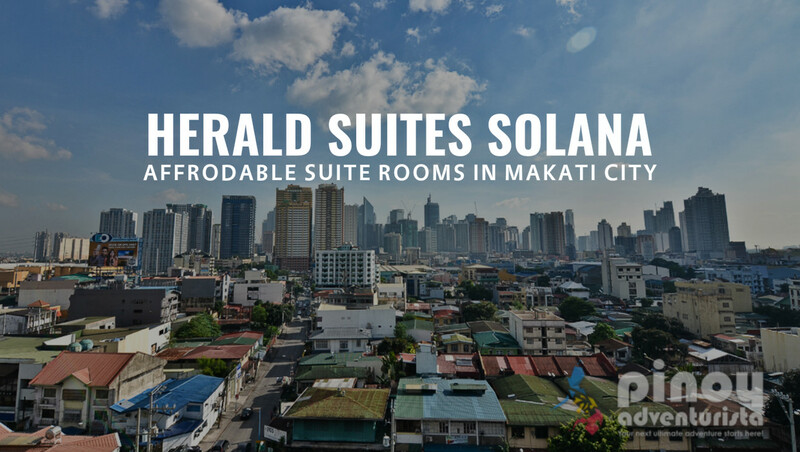 Herald Suites Solana also offer free WiFi Internet access in public areas and inside the room, gym and sports facilities, handicapped-friendly facilities, roof-top swimming pool, coffee shop and a sauna. These facilities are free of use for checked-in guests. Every booking comes with complimentary breakfast served from 6:00 am to 10:00 am at their in-house restaurant located at the ground floor. Aside from that there's also a buffet table of breads, fruits, cereals, juices and free flowing coffee. 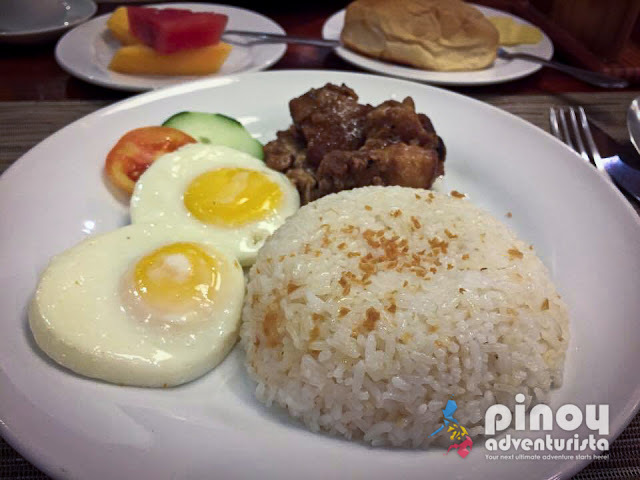 An additional charge of Php900++ will be applicable to third person. (maximum of 3 persons per room). TIP: We booked our stay online which only costs 2,300 pesos per night. Booking online definitely saved us a lot! 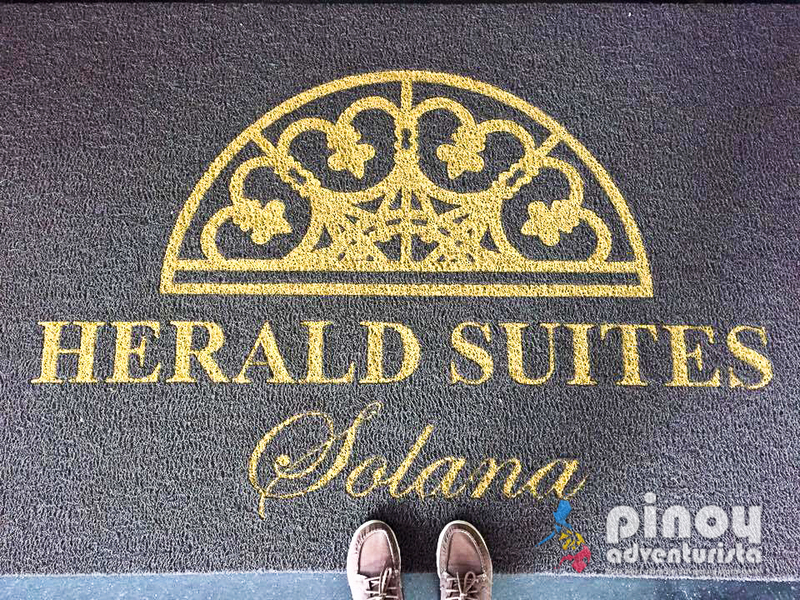 Overall, we had a pleasant stay at Herald Suites Solana. 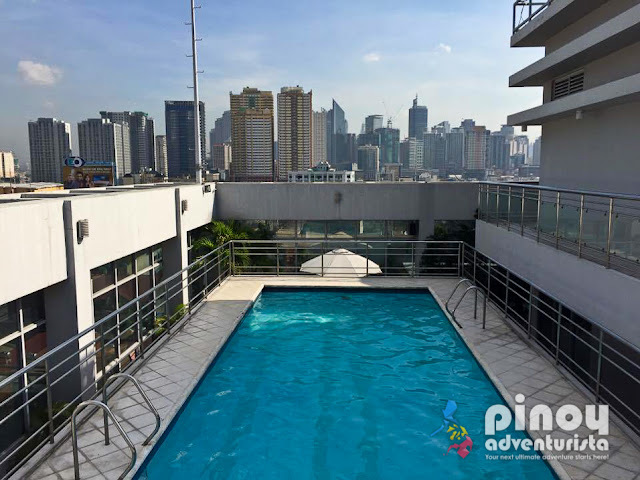 It is an ideal place to stay in Makati City for guests looking for a hotel with an excellent location, spacious rooms and great value for money. The use of this 360° virtual tour of Herald Suites Solana is authorized by Traveloka.